A Border Patrol agent opened fire, shooting two U.S. citizens, after a truck tried to ram him, KVOA.com reports. 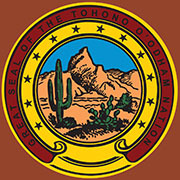 The incident happened shortly after 12:15 a.m. Monday at the Tohono O’odham Indian Nation in Arizona. According to the agency, the agent was standing near his marked car when the driver of a truck tried to strike him. The agent responded by opening fire, striking two of three people in the truck. The agent, whose name was not released, was injured and taken to a local hospital, where he was treated for non-life-threatening injuries. The FBI is investigating and is pursuing assault charges. Posted: 4/1/14 at 4:46 PM under News Story.